ProPublica director Herbert M. Allison Jr. was a great friend of ProPublica, a generous donor who was unanimously elected to membership on the board last December. He passed away Sunday. We will miss him. ProPublica director Herbert M. Allison Jr. was a prominent financial-industry executive who also became one of its most forceful critics. 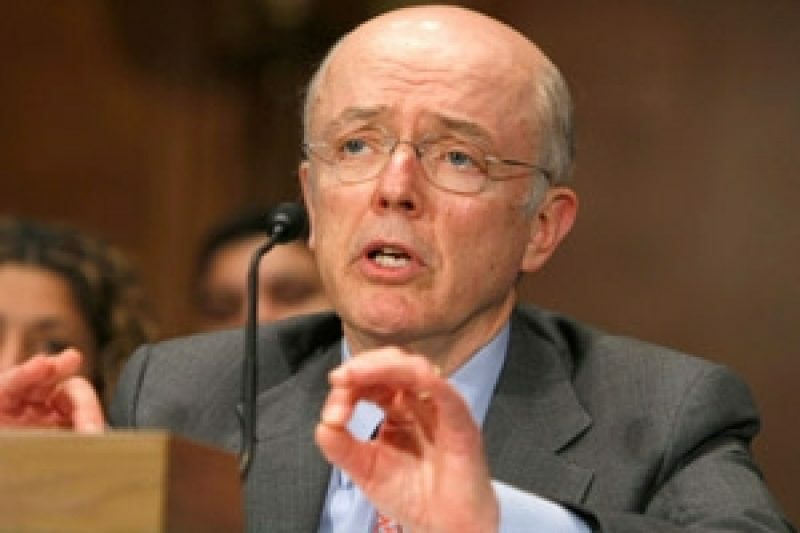 He served the presidencies of both Republican George W. Bush and Democrat Barack Obama in key leadership posts during the chaos of the 2008 financial crash and its aftermath. And he was a great friend of ProPublica, a generous donor who was unanimously elected to membership on the board last December. Herb died Sunday at his home in Westport, Conn., of a possible heart attack, his family said. At age 69, he was a careful eater and avid runner, and he appeared to be in great physical shape. His financial career began at Merrill Lynch, where he spent 28 years and rose to be president and heir apparent to the CEO job. But he lost out in a management shakeup in 1999 – ironically, just after he had played a major leadership role in the successful industry bailout of troubled hedge fund Long Term Capital Management in 1998. He later became CEO of TIAA-CREF, a big asset-management and financial services company. His political and public-service activity included running the finance committee for Senator John McCain’s 2000 presidential campaign. In 2008, the Bush White House tapped him to run Fannie Mae when it was forced to take over the securitizer of home mortgages. In 2009, the new Obama Administration asked him to run the Troubled Asset Relief Program (he had supported Obama for the presidency in 2008). He left the TARP job in 2010, but was soon back in Washington conducting an independent review of government loans to energy companies. “Herb was both a CEO and a statesman, who served his country at a time of peril,” Timothy Geithner, the former Obama Treasury Secretary, said in a statement in response to news of his death. Herbert Monroe Allison Jr. was born in Pittsburgh, son of an FBI agent. After graduating from Yale in 1965, he served four years in the Navy, one of them in Vietnam. He got a master's in Business Administration degree from Stanford before joining Merrill Lynch, which sent him abroad, including to Iran, where he met his wife, Simin. They have two sons, John and Andrew. Herb and I met in the early 1960s, serving together on the college paper. We lost touch until the 1990s, when I was editing the Wall Street Journal and he was a top executive at Merrill Lynch. He was both gentle and tenacious, treating everyone with respect but not shrinking from calling out what he regarded as errant behavior. That toughness is on full display in his short but withering 2011 book, The Megabanks Mess, in which he lays out a case for breaking up the biggest banks and financial institutions. To everyone who knew him, devoted family, friends, colleagues, Herb’s death comes as a shock, with a sense that it happened much too soon. Nowhere is that more acute than at ProPublica, where he had already had a significant impact; but the promise was for much, much more. We will miss him. Funeral services are to be private, but the family says there will be a memorial service in September. We will pass along that information when it is available.